I find it interesting that one of the main beneficiaries of this new licensing system that is aiming to fast track expansion is one of the most storied, grandest, traditionalist clubs of all. Cas have already seen gains come out of the licensing system, through not getting relegated at the end of a disappointing return campaign in Super League last year where they finished six points adrift at the bottom. But as well as that, it’s enabled them to keep hold of some of the most promising talents in the game. Castleford had an odd season last year. For the first month it genuinely crossed people’s minds that they might now be able to win a game, such was the woeful nature of their play. Then they scored probably the upset of the year with a more-than-convincing 38-20 victory over the newly crowned World Club Champions, Leeds Rhinos. 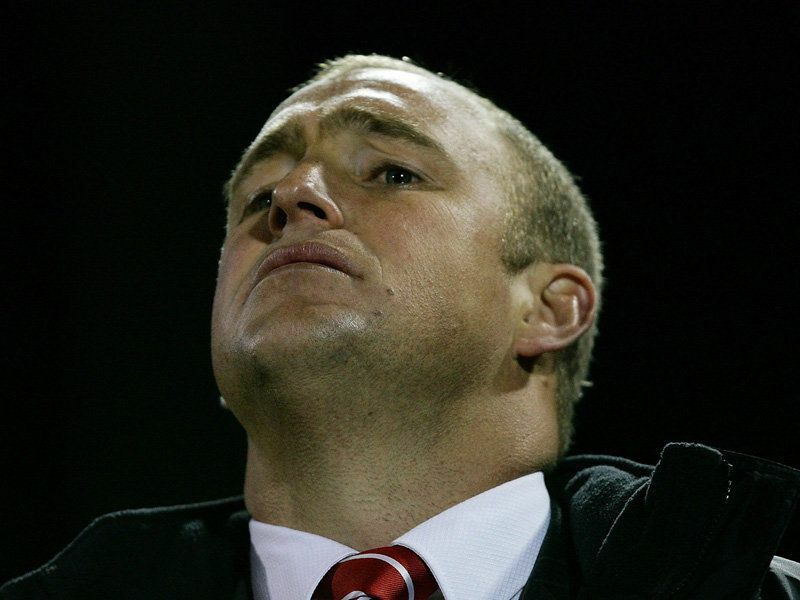 In fact, amongst their seven league victories were games against the Rhinos, St Helens and Warrington, which seemed to imply their downfall was a lack of consistency more than anything else. After all, this is a side that conceded 68 points against St Helens one week, only to score 66 against Harlequins the next. Castlefords points tally for wasn’t all that bad, although it could do with some improvement. There’s fairly good reason to assume that will happen, as their back-line is full of young players who should be much better for a season’s worth of experience under their belts (given the paucity of options for England in the threequarters, look for Michael Shenton to be challenging for international honours this year). What they really need to work on this season is their defence. Castleford last season felt like a team that once you finally broke them down, the floodgates would open. Castleford need to find out how to either a) not get broken down or (more realistically) b) learn how to rally back from adversity. Bradford Bulls: Can the Bulls re-emerge from the shadows? But a few seasons ago, they were winning trophies left, right and centre, even becoming the first team to ever win the Grand Final from 3rd place. Nowadays, their fans would probably be pleased with a 3rd place finish, never mind a Grand Final.Perhaps even more gallingly for the Bulls, the pre-eminent side in Super League has become their bitter Yorkshire rivals, the Leeds Rhinos. Bradford are a side in transition – the problem is we don’t know what they are transitioning to. One the one hand, they’re still a side possessing a wealth of talent, particularly in the forwards. On the other, their back-line is clearly not as strong as it was in the Vainikolo-Hape glory days, and I’m not sure how much teams will fear the thought of Bradofrd spreading it wide. Part of the problem is that Bradford seem to have developed a policy of bringing in players who over-achieved at smaller clubs, only to find their impact limited on the stage that the Bullls put them on. In this regard, the signings of Michael Worrincy and Ricky Sheriffe are to type. However, this season Bradford have also decided to bring in some big names in Steve Menzies and Greg Bird. Both have associated risks; Menzies is one of the best second-rowers of his generation, but he’s getting on a bit, and as for Bird… well, the Bulls will hope he’s got his head in the game. Of course, this season is more interesting than most because it is the start of the Brave New World we now live in, or the Licence Era as it has also been called (by me, just now). We got a little taste of this last year, but now we know that none of these sides will be relegated at the end of the season. It will be interesting to see if this has the effect of allowing more British youngsters to have starting opportunities, which was one of the main reasons behind the switch to licences. There were signs that this might be the case last season, and it was particularly nice to see a club like Harlequins (long known as a side of backpacking Aussies) bringing through their own talent. What also makes this season really interesting is the introduction of two new teams (which also has the positive side effect of evening out the fixture list so teams only have to threepeat with one other side now) in Salford City Reds and Celtic Crusaders. Salford have of course done this whole Super League thing before, and have mostly been encamped in the nether regions of mediocrity (they have only made the playoffs once), but they have some emerging talent coming through. For Celtic though, this is a whole new ball game, and the Rugby League watching public will be looking to see if they can compete with the big boys. They will also have the added pressure of being expected to introduce a new breed of Welsh superstars who have been missing from the game ever since Rugby Union went fully professional. Of course, given that Harlequins have only really started doing this after 25 years, I think it’ll take a while before we get a plethora of Welsh talent back in the game, but at least the opportunity for it to happen has now been made easier. Apart from that, a lot of the questions are the same: Who can stop Leeds and Saints? Are Wigan about to hit the big time again? Will Warrington finally stop under-achieving? How small will Quins’ crowds be? What does the ref think he’s doing? Nathan Brown: Shorter Season, More Training Time Please! “It’s a lot shorter preparation than I’m used to. Back home, we have six weeks before Christmas and six weeks after before we play our first game,” said the 35-year-old Giants boss. “That’s why Australia are where they are. The guys who played [in the World Cup] will get six weeks of pre-season before they play, whereas the English guys go back after Christmas, train for a week or two and then start playing so they don’t get a good chance to prepare their bodies. Although the idea that England would suddenly be the match of Australia if they cut down on the season length a bit might be over-simplifying matters somewhat, Brown does have a point. Super League has already cut down the fixture list by one game with the advent of the Magic Weekend, but for a while people have generally been moaning about the number of games that players have to go through, especially as it involves teams playing each other three (on occasions even four) times a season just to get up to the required number of games. The pounding that a player has to take week-on-week of course has to have a detrimental effect on the health of the players, not to mention whatever takes place in training. As much as sports science has advanced over the years, the demands put on the players still manages to outpace it. Of course, there’s an obvious reason why we won’t get a reduction in the number of games any time soon: TEH MONEYZ! A reduction in games means a reduction in gate takings, in bar takings, in merchandise sales on gameday etc. and it’s pretty damn unlikely that the clubs would stand for that. It’s a shame, because healthier players = better product for two main reasons: a) as Brown points out, a reduction in the number of games frees up time for training, and coaching is very important for the maintainance of high levels of skill in any sport, and b) healthier players perform better [/obvious]. Of course, overly long / overcrowded seasons are not unique to Rugby League. Country cricket has far too much dross in its fixture list, and there have been moves by FIFA and UEFA have made it known they would like the Premiership reduced to 18 teams. These are very unlikely to change in the near future, and it’s the same with Super League. Yay! Hopefully 2009 will be even better than 2008. There’s a limited amount you can take away from these games, as they’re taking place just as the clubs are beginning to get back into the swing of proper pre-season training, and all the big guns who went to the World Cup will have been given extra time off. However, both Saints and Leeds will be pleased that their youngsters have put up good shows against tough opposition, even if they both lost. Wigan will also be pleased with the score in their game, even if the Wolves side they faced was fairly young. You are currently browsing the XIII blog archives for January, 2009.